What to expect from us in 2018. Kinaesis are working with our clients to define the scope of work needed to achieve GDPR compliance. It’s not just a race to meet the deadline of 25th May 2018 but actually implementing maintainable solutions that will ensure continued compliance. For an overview of our services and accelerators, click here or if you are interested in something more specialised, please email us here. Implementation of MiFID II continues through 2018 and our specialist tools for target market identification/design/validation provide solutions around product governance. In addition, we provide wider MiFID II consultancy for selected clients. We are seeing a sharp rise in demand for our DataOps expertise and services. We have several new partners which enhances our DataOps capabilities. We look forward to introducing you to the work we are performing with our partners SAS, MicroStrategy and NORMAN & SONS. We are also excited to be working with Snowflake on a new project with their cutting edge, enterprise data warehouse, built for the Cloud. As we move towards the first reporting date, in 2019, under the new standards developed as part of the Fundamental Review of Trading Book (FRTB), the focus is on the implementation of a sustainable operational process to ensure effective ongoing compliance. The new standards demand daily monitoring, controls and reporting to ensure capital requirements are met on a continuous basis. This presents a complex data, reporting and operating model challenge for banks. 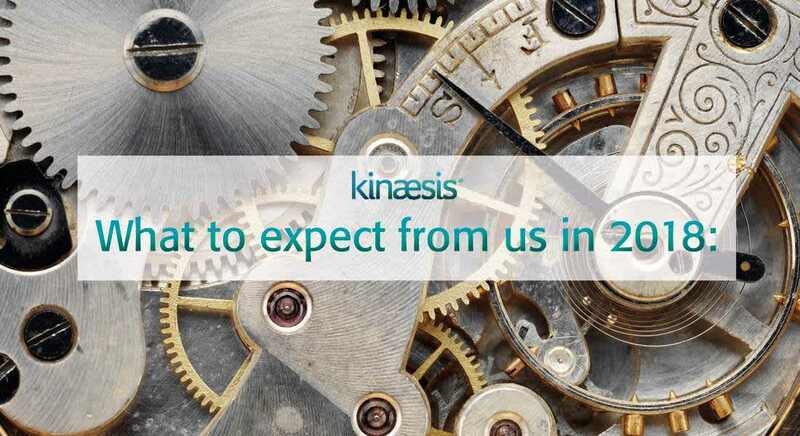 In 2018, Kinaesis will help clients to build high performing, sustainable solutions for FRTB. We will be using our accelerators, expert resources and agile delivery to help banks to address the risk modelling, data modelling, architecture and process challenges. The implications of BCBS 239 for DSIBs and GSIBs remain wide-reaching and demanding for both organisations who have gained compliance and those who are aiming to achieve it. Existing BCBS solutions, in many cases, cause greater operational overheads and onerous change management processes. Expected gains and benefits in analytic and reporting capability also fail to materialise. Kinaesis in 2018 will continue to help both DSIBs and GSIBs with their respective levels of BCBS 239 compliance. We know how to leverage the recurring challenge in gaining benefit from work already undertaken to meet the regulations and are changing the way our clients deal with Risk. Read more about BCBS 239 + here.